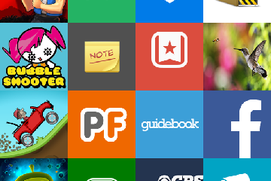 Published by: RV AppStudios ? Last Heroes! 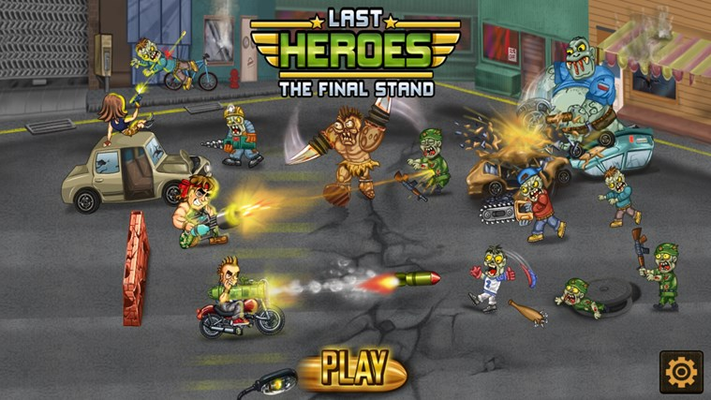 Last Stand! Last Hope! 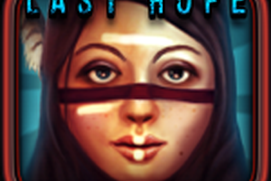 As the only remaining last heroes left standing against brutal zombies, you are humanities last hope. 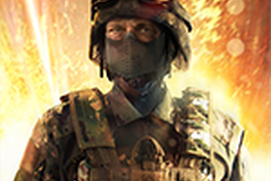 Use all your specialized skills to survive the onslaught of enemy zombies and avenge other fallen heroes. 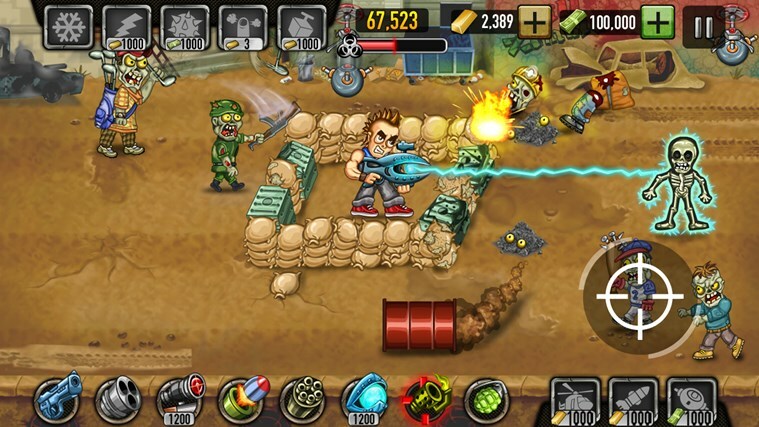 Get ready to utilize stockpiles of powerful weapons, supercharge them with upgrades and build up your defenses in strategic ways to protect the Last Heroes. 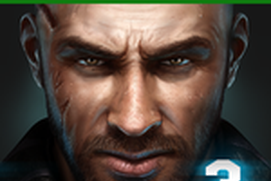 The world's most addictive strategic defense shooting game is here! 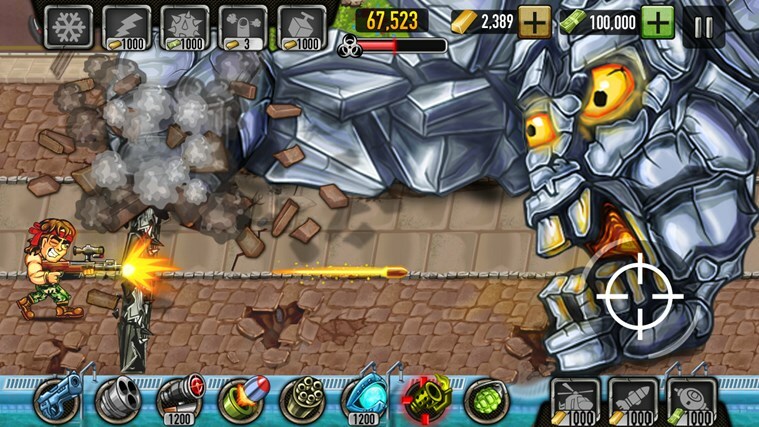 Features * 3 Exciting Game Modes * 5 Urban Area Backgrounds * 3+ Unique and Powerful Heroes * 12+ Deadly Zombies * 3+ Destructive BOSS Zombies * 8+ Powerful Weapons * 5+ Special Fortified Powers * 100+ Challenging Levels Highlights * Stunning HD Visuals & Sounds Get ready to be mesmerized by the most visually stunning 2D defense shooting game you've ever played. That's not all, there's much more zombie craziness, filled with powerful rockets, specialized guns, helicopter attacks and more. 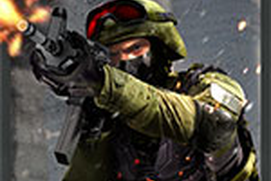 Strategic defense shooting games have never been this fun and addicting! The time has come to unleash your inner hero, defeat the evil zombies, and save the world! 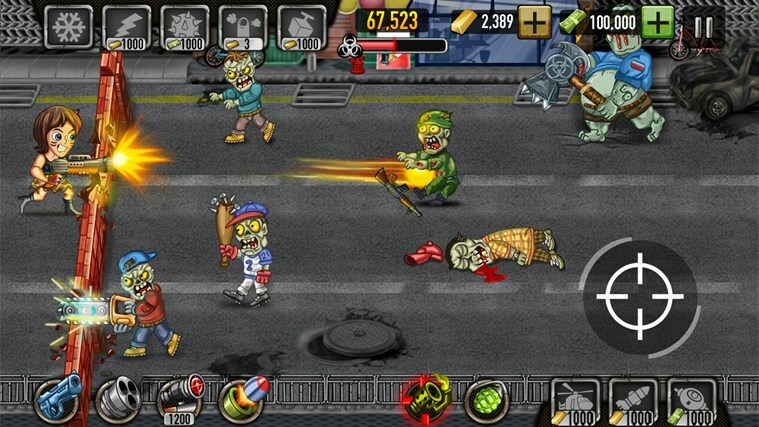 Who doesn't love to kill zombies !! So far I am having fun. Just trying new games, and have really enjoyed this one. So far I have gotten several new guns, and now a helicopter. It is advancing fast. That is all I know for now. ?..